Monitormate ProBASE C aluminum monitors stand not only raises your monitor to a comfortable viewing level, but also provides an integrated USB 3.0 hub. Like the idea? Let’s keep checking. The ProBASE C is a beautifully crafted and multi-functional monitor stand that measures 21 x 9 x 2.5 inches and weighs 2.9 lbs. 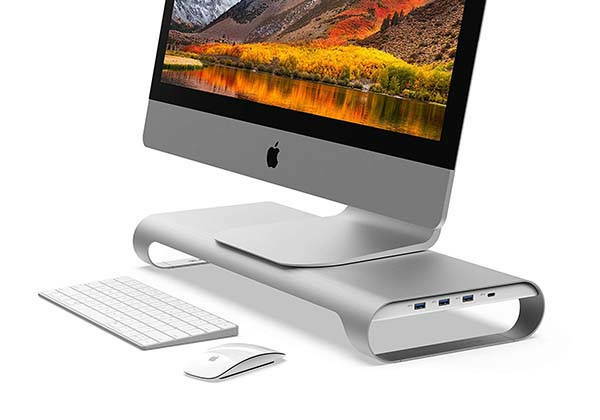 As we can see from the images, the stand shows off a minimalistic, streamlined appearance design, and it’s crafted from aluminum for a durable and stable construction, while the bead blasted finish ensures it perfectly complements to the stylish look of iMac or MacBook. The aluminum monitor stand is designed to lift your monitor or laptop for maximum comfort to improve your posture, and the space underneath is 17.7 inches long by 1.4 inches high in order to store your mouse and keyboard, keeping a neat and clean desktop when not in use. 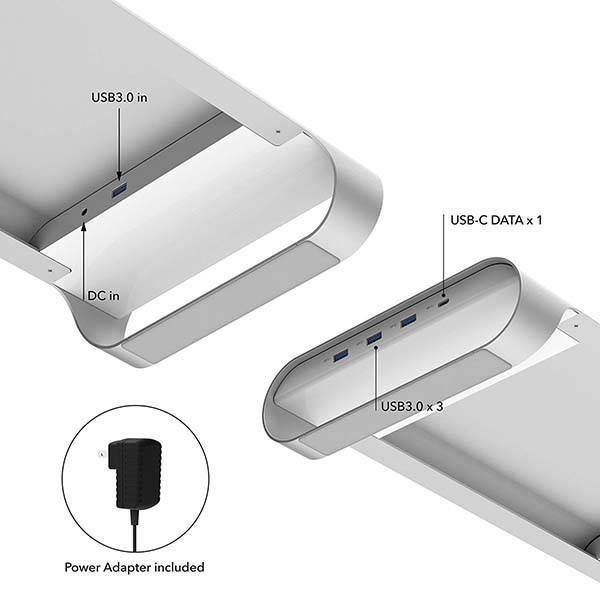 Furthermore, the aluminum stand also features an integrated USB 3.0 hub that gives you 3 USB 3.0 ports and one USB-C port so that you can more easily connect your external devices with the computer or charge your mobile devices. Moreover, a hidden drawer is designed to store some frequently used items like USB flash drive, charging cables, external HDDs and more. 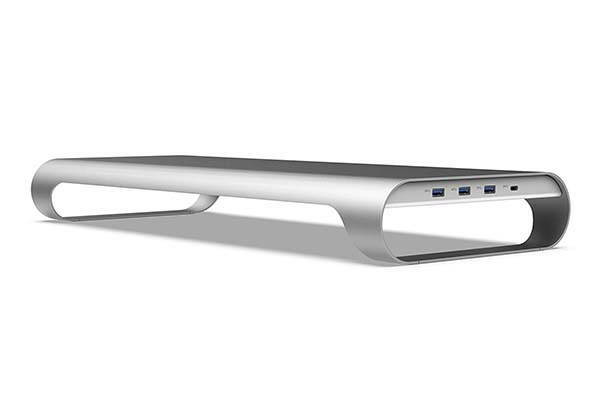 The ProBASE aluminum monitor stand is priced at $139 USD. If you’re interested, jump to the product page for its more details.